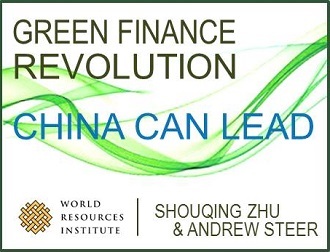 Dr. Andrew Steer is the President and CEO of the World Resources Institute, a global research organization that works in more than 50 countries, with offices in the United States, China, India, Brazil, Indonesia and Europe. WRI’s 450 experts work closely with leaders to address six urgent global challenges at the intersection of economic development and the natural environment: food, forests, water, climate, energy and cities. Dr. Steer joined WRI from the World Bank, where he served as Special Envoy for Climate Change from 2010 - 2012. From 2007 to 2010, he served as Director General at the UK Department of International Development (DFID) in London. Dr. Steer serves on the Executive Board of the UN Secretary General’s Sustainable Energy For All initiative; is Co-Chair of the World Economic Forum’s Global Agenda Council on Natural Capital; and is a member of the China Council for International Cooperation on Environment and Development (CCICED), the Leadership Council of the Sustainable Development Solutions Network, and IKEA’s People and Planet Positive Advisory Group. Prior to joining the UK Government, Andrew held several senior posts at the World Bank, including Director of the Environment Department. He also has directed World Bank operations in Vietnam and Indonesia and served as Chief of the Country Risk Division and Director and Chief Author of the 1992 World Development Report on Environment and Development. Andrew was educated at St Andrews University, Scotland, Cambridge University, and the University of Pennsylvania, where he received his PhD in economics.